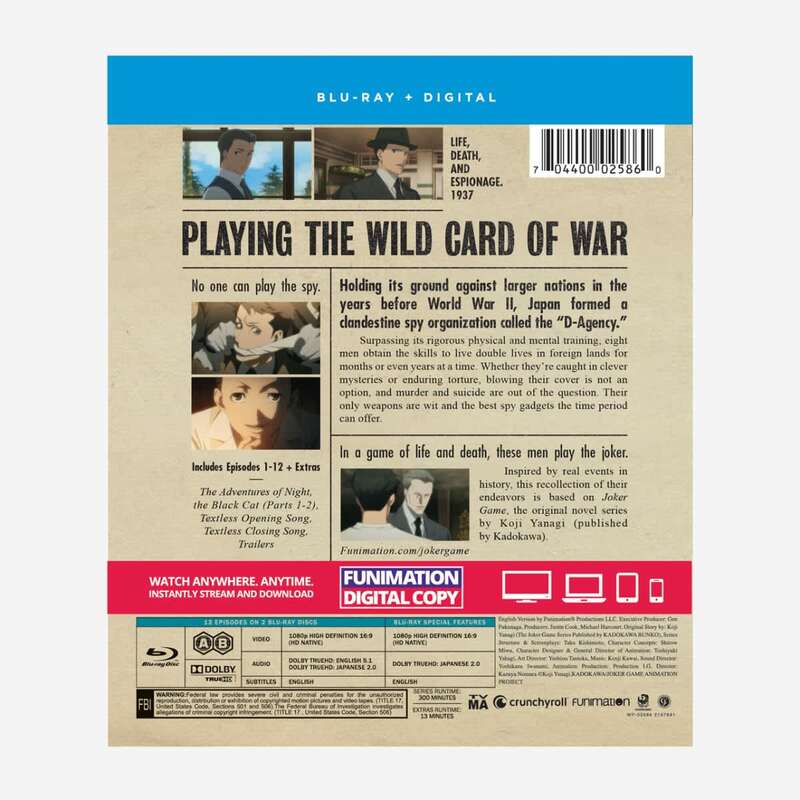 Joker Game contains anime episodes 1-12. Surpassing rigorous physical and mental training, eight Japanese men live as spies in the years before World War II. Whether they’re caught in clever mysteries or enduring torture, blowing their cover is not an option, and murder and suicide are out of the question. Inspired by real events in history, this is a recollection of their endeavors. 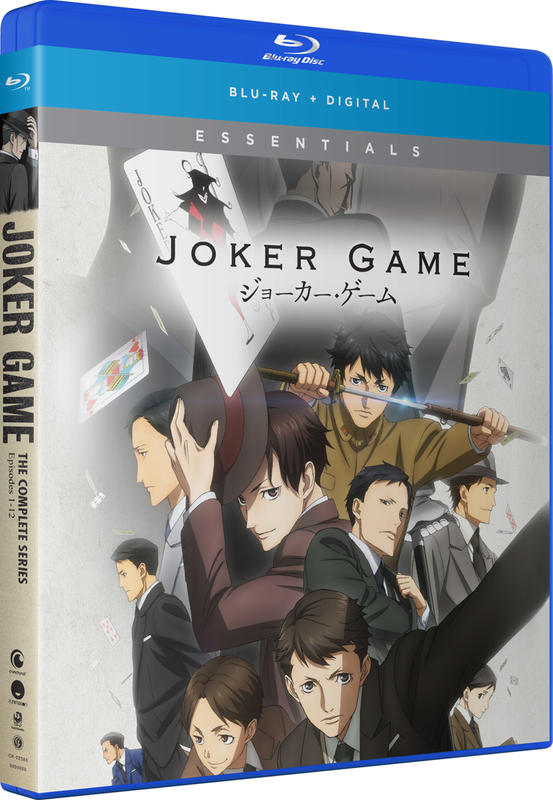 Joker Game was an okay anime. I gave it a 3 star because the way it tells the story is a little bit confusing. To start off there is 8 character who are spies and each episode tells their unique story but they don't give each character a meaningful trait so it's hard to distinguish them from one another. This led me to be confused most of the show. Despite that however, the atmosphere was very well thought out and I really enjoyed the world war II environment. There were many times throughout the show that was filled with suspension and witty clever mystery solutions which I enjoyed. I just wish my expectations for the show weren't so high. I expected a great anime but it was decent.